SINGAPORE: The first vaccine for prevention of shingles is now available in Singapore. It is recommended for those who are 50 years and above. 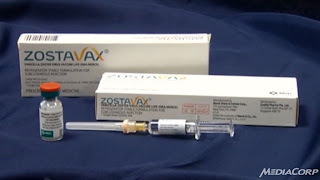 Called Zostavax, it is carried by most general practitioners, private hospitals and at some public hospitals. The cost of each dose ranges from S$220 to S$250. Shingles, also known as herpes zoster, is a virus infection. Professor Roy Chan, director of the National Skin Centre, said: "The virus which causes it is the same virus that causes chicken pox. "Chicken pox is often a childhood infection. Shingles is a result of the virus remaining dormant in the body after an attack of chicken pox. It can go on for many years, only to re-surface years later as an infection of the skin. "Shingles by itself is an acute eruption of painful lesions on the skin... usually with blisters lasting several weeks and often very painful." He added: "It usually occurs much later in life usually from 50 years onwards, but it can occur in younger age group. Most of the patients however are in the older age groups. And it is thought that it occurs as a result of immunity against the virus decreasing with age." As to how common the disease is, Prof Chan said: "We don't really know how many cases are seen every year because no one collects the data routinely and it is not immediately notifiable." He added that it is more common among older age groups, and the National Skin Centre sees about 150 to 200 cases every year. He said: "The right treatment is really anti-viral treatment. There are three drugs, which are available, which can be used to treat herpes (zoster) infections, and these are usually given for about 7 to 10 days. "What these medications do is to shorten the attack, reduce the pain, reduce the time it takes to heal. In addition, we do give patients painkillers. "We will teach them how to look after the skin and so on. And they usually have to take medical leave because it is quite painful and they are infectious." When asked about ways of preventing the disease, getting shingles, Prof Chan said: "There's been no really good prevention other than good advice to seek medical treatment as soon as you can. 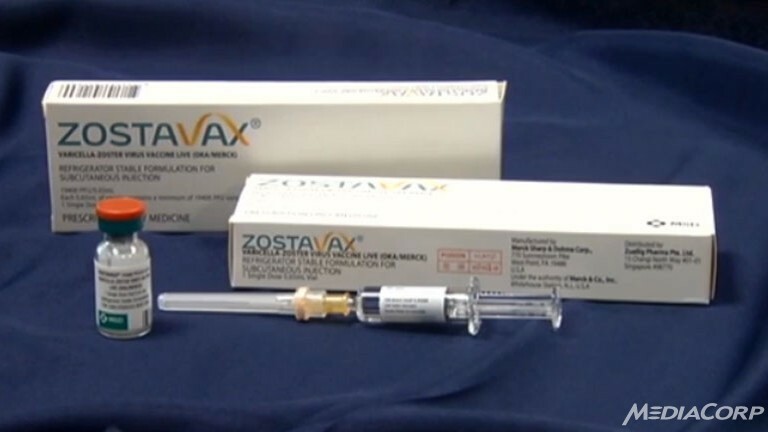 "There is a vaccine being launched in Singapore which is called Zostavax, and that has been shown in overseas clinical trials to be able to reduce the chance of a person developing herpes zoster."